Last week, the Parliamentary Assembly of the Council of Europe (PACE) elected a new judge to the European Court of Human Rights. 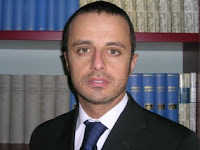 Mr Gilberto Felici was elected as the new judge in respect of San Marino. His term shall start in September of this year and he will succeed current judge Kristina Pardalos. Mr Felici is currently both a judge and a lecturer. He is very familiar with another branch of the Council of Europe's work, as he was also a member of ECRI (the European Commission against Racism and Intolerance) since 2003.